(Newser) – Big advertisers keep pulling out of Tucker Carlson's show on Fox News over his comments that immigrants make the nation "poorer" and "dirtier." Media writer Jack Shafer is no fan of Carlson and his "retrograde views on race, minorities, gays, and women," but he's even less of a fan of this boycott, he writes at Politico. It's a dangerous idea to let fickle corporate advertisers have a say on what people can and can't say on news shows, he writes. He notes that one of the latest companies to ditch Carlson was IHOP. "Seriously, I barely trust IHOP to make my breakfast," writes Shafer. "Why would I expect it to vet my cable news content for me?" Negative advertising is just as effective at swaying people as positive ads. Any political campaign proves it. Association with the wrong media is instantly pointed out on Facebook and Twitter so advertisers have no choice but to pull ads. 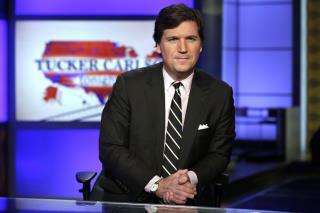 Why would 'super-rich' not Carlson, he's controversial bloodsucker, care at all for 'lesser' " race, minorities, gays, and women" ? They look down on lower classes like sidewalk scum. Conservatives are such whiny snowflakes. They are terrible at organizing protests, so all they can do is whine at all the protests against them. Grow a pair, conservatives. And be better at protesting.